tl;dr: When starting a crypto network, who matters a lot, but WHEN can matter just as much. Results from the MIT Bitcoin experiment reminds us of this. One of the more interesting experiments in decentralized financial governance is the dxdao. It is a joint effort between Gnosis and DAOstack (disc: advisor). The fully decentralized exchange uses a Dutch auction mechanism (instead of the more familiar order book) to help with optimal price discovery. Like any two-sided market, the DutchX faces an inherent chicken-and-egg problem: what comes first, the seller liquidity or the bidder liquidity? While Gnosis comes down on the side of seller liquidity first, figuring out who the right early adopters are and what their needs are is a problem that faces both traditional Internet companies like Uber and PayPal and certainly decentralized marketplaces. There’s a great book on how many of the successful multi-sided marketplaces jump-started their flywheel. It’s called Platform Revolution: How Networked Markets Are Transforming the Economy — and How to Make Them Work for You. The book recounts stories from Uber’s early days, for example, where they focused on black car service in San Francisco only. Influence and influencer marketing is probably one of the most written about topics on this blog. Everyone wants to find “influencers” but the definition of an influencer is dynamic across industries, time, and space. My friend, Joel Backaler’s new book, Digital Influence: Unleash the Power of Influencer Marketing to Accelerate Your Global Business is one of the best out there. So, it turns out, that a recent experiment at MIT with Bitcoin has provided us with some additional insights into how word-of-mouth is generated and what kinds of people are most likely to get a network effect going. In Bitcoin study: Period of exclusivity encourages early adopters, we are reminded of an initiative all the way back in 2014 to give every MIT undergrad $100 worth of Bitcoin. At the time, Bitcoin price was between $200-$400 roughly and the mania hadn’t really gone mainstream. This followed the Mt. Gox debacle, however, where the price had been at $1,000. The idea of the backers of the project (those who donated the $500,000 in funding) was that giving some of the best and brightest minds in the world access to Bitcoin would encourage them to experiment with the technology and build interesting blockchain-based applications. Unbeknownst to me until recently, two professors at the MIT Sloan business school saw an opportunity to do a “parallel universe” test. They separated the Bitcoin recipients into two groups. In the first one, the most eager, excited, early adopters were given their Bitcoin almost immediately. In the second one, the most eager and excited students received the Bitcoin after a delay. It turns out…WHEN an early adopter/enthusiast is given access to new technology matters a great deal. Essentially, if someone is excited enough about your tech to want to try it, it’s better to get them on board as soon as possible. I thought of this recently when I got the email for the new ShapeShift and for Dharma Lever. Both of them had signed up for “early access” pages. For Dharma, I got in about a day or so later and immediately started playing with it. Then, I wrote about it on the blog. 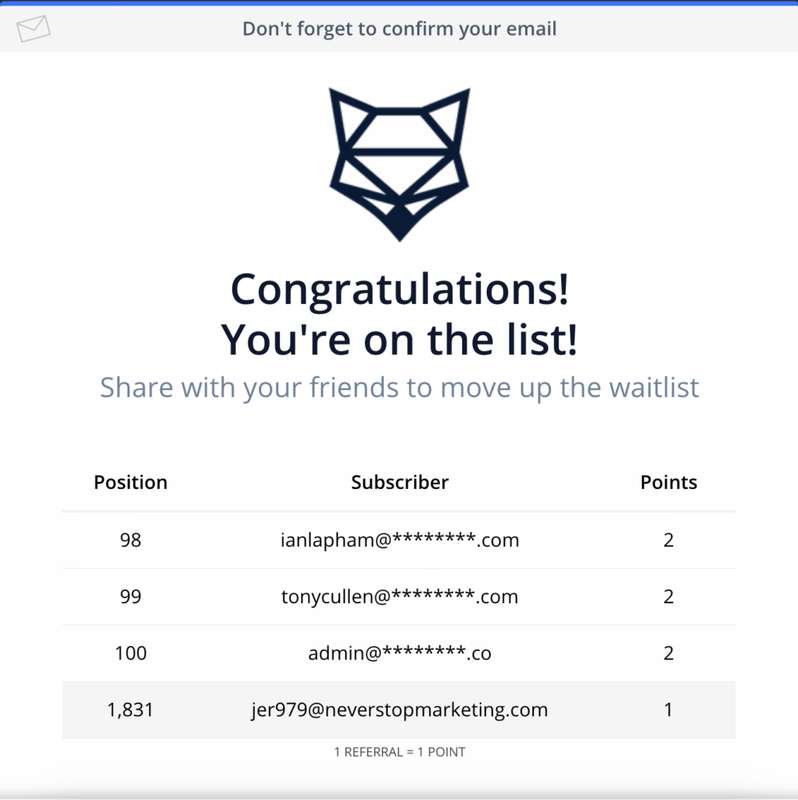 For ShapeShift, I was told of my place on the list and given a “refer a friend” link (here you go). For friend referrals, I usually don’t do that until AFTER I have tested something out. I want to know it’s good before I spread the word. After all, if I tell you “hey this thing WILL be great” and it’s not, both of us are hurt in the process. it’s equally critical to recognize that their excitement and enthusiasm for your project also has a half-life. How Timing Matters for Early Adopters of New Tech was originally published in Data Driven Investor on Medium, where people are continuing the conversation by highlighting and responding to this story.